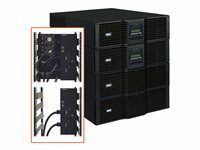 Tripp Lite's SU20KX(20kVA) SmartOnline Modular 3-Phase Intelligent, True On-Line UPS System provides 100% system availability with 1+1 parallel capability. 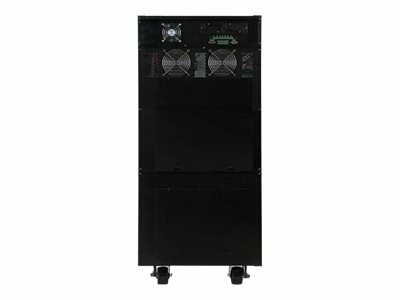 In 1+1 configuration, two SU20KX models connected in parallel can provide fail-safe redundancy(two 20kVA models supporting a 20kVA load) or increased capacity(two 20kVA models supporting an 40kVA load). The SU20KX provides mission-critical equipment with the highest level of power protection available. 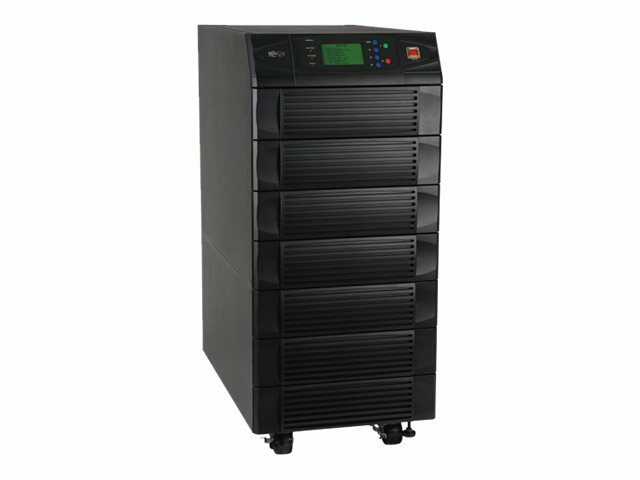 Large capacity 20,000VA/16,000W UPS continually converts incoming AC power into filtered DC power, and then resynthesizes it back into AC power with a pure sine wave. Perfectly regulated, continuous sine wave output with zero transfer time assures compatibility with all equipment types. 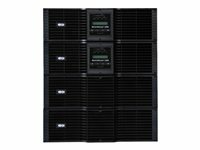 High input power factor, advanced IGBT inverter technology and Digital Signal Processor(DSP) technology produce less than 3% input total harmonic distortion(THDi). With low THDi, generators run cooler and last longer, allowing managers to save installation costs by installing a generator with a capacity equal to the equipment load(1:1 ratio). Extremely efficient operation(up to 97%) saves money by lowering electricity consumption. Hardwire input and output connections support a variety of permanent or PDU-style power connections. The SU20KX features 50 or 60 Hz(auto-selectable) frequency. The SU20KX combines internal power and battery modules in a single small-footprint tower compartment. Typical half-load/full-load runtimes are 13 min./5.5 min. Battery runtime can be extended with optional stand-alone hardwired external battery modules(Models BP480V26B and BP480V40C, available separately). 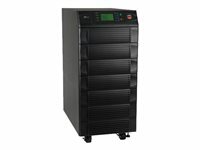 A manual bypass breaker and an automatic bypass function ensure 100% availability of connected equipment by safely passing through AC power if the UPS requires maintenance. View the estimated runtime information.